Advanced gum disease is known as periodontitis and requires ongoing care and attention from your dentist. Your gums support your teeth and hold them in place, so it is vital you care for them properly. Poor oral hygiene can lead to gum disease, which is caused by the build-up of plaque on the gum line, leading to an increased presence of bacteria in the mouth. It is also more prevalent in people who smoke, chew tobacco or suffer from certain diseases such as diabetes. Gingivitis is the first stage of gum disease and can cause bleeding, inflammation and redness of the gums. It can be managed at home through the use of dentist-recommended products and an enhanced cleaning routine. However, if you find no change or worsening symptoms after a few weeks, please book an appointment with your Northway Dental Practice professional. Leaving gingivitis untreated can also lead to your gums receding back. You may also experience infections or an abscess which could require antibiotic treatment. We provide a range of advanced periodontal treatments to restore your oral health and preserve your natural teeth. Your dentist will take the time to explain the relevant treatment and how it will help to eradicate the adverse effects of gum disease. It is important to avoid harmful habits such as smoking or chewing tobacco to minimise the risk of periodontitis. 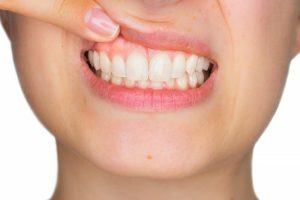 If you have noticed a change in the appearance of your gums or have experienced consistent bleeding, please click here or call 0151 526 2701 to book a consultation now.